We all know we’re surrounded by a whole world of technology. But do we know it could help make life easier when caring for someone? According to Carers UK, simple devices and apps can help someone live independently for longer. To equip and inform you, Carers UK have supplied us with their guide What Can Tech Do For You? – which you can download here or visit the Carers UK website. Many of us use technology in our everyday lives. But seven out of ten people don’t think of technology when it comes to caring. Why not use it to help you take care of your loved one? 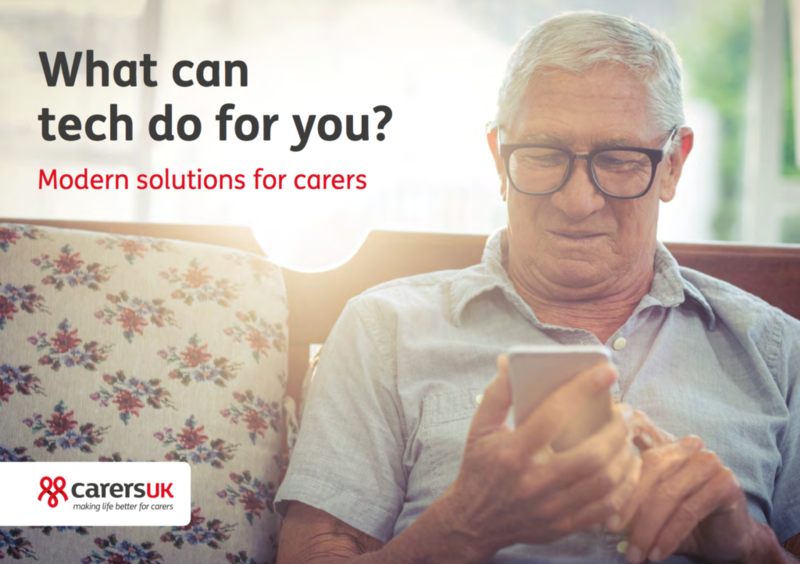 You could set up one or two devices or applications – or even a larger system that is connected to you and other carers.